Home › Resources › Knowledge › Financial Modeling › What makes a good financial model? So, what makes a good financial model? This brief guide will outline the hallmarks of a “good” financial model. This concept is covered in more depth in our full guide to financial modeling best practicesFree Financial Modeling GuideThis financial modeling guide covers Excel tips and best practices on assumptions, drivers, forecasting, linking the three statements, DCF analysis, Excel modeling and much more. Designed to be the best free modeling guide for analysts by using examples and step by step instructions. Investment banking, FP&A, research. To learn more, we highly recommend checking out our financial modeling courses and training. An effective and efficient model is one that can help a company see and reach their future performance goals in various situations. This means that in order for a financial modelWhat is a Financial Model?A financial model is a representation of a company’s past and future performance based on it's assets & operations. Find out: what is a financial model? to function successfully, the quantitative values that are documented need to be realistic and appropriate. The model should reflect key business assumptions directly without being over-built or cluttered with unneeded details. This will ensure the model remains truthful and represents reality, and that it is reasonable with previous data/ performance numbers, defensible assumptions, and a projected performance. The assumptions and conclusions must be very clearly conveyed within the model to ensure a favorable outcome. A good financial model will also be flexible. This is portrayed in both the designFinancial Model FormattingFinancial model formatting is a science all on its own. By formatting a financial model properly, the analyst maintains consistency, clarity and efficiency. and technique as it must allow the model to be flexible in both the immediate term and adaptable in the longer term. The model must have the ability to change with dynamic schedules – this grants model users the ability to plug various numbers into cash flow projectionsCash FlowCash Flow (CF) is the increase or decrease in the amount of money a business, institution, or individual has. In finance, the term is used to describe the amount of cash (currency) that is generated or consumed in a given time period. There are many types of CF, depreciation schedulesDepreciation ScheduleA depreciation schedule is required in financial modeling to forecast the value of a company's fixed assets (balance sheet), depreciation expense (income statement) and capital expenditures (cash flow statement). 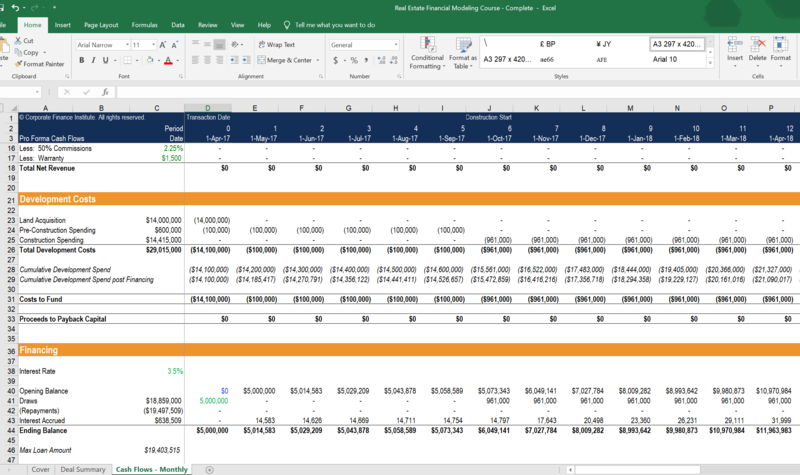 In financial modeling, a depreciation schedule is requried to link the three financial statements in Excel, debt serviceDebt ScheduleA debt schedule lays out all of the debt a business has in a schedule based on its maturity and interest rate. 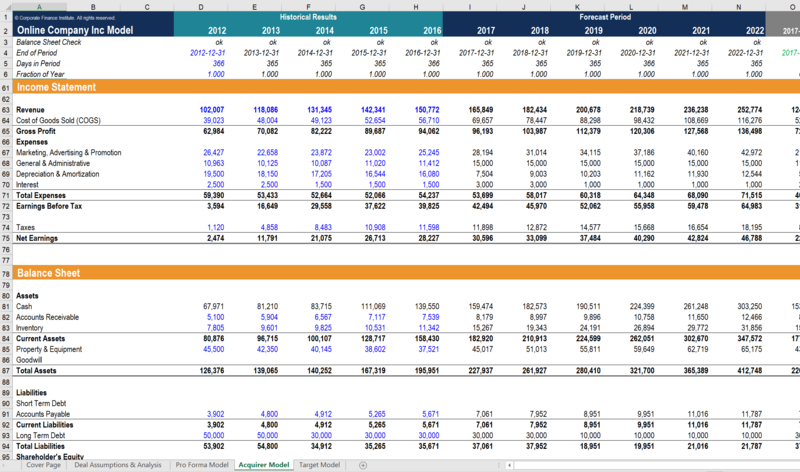 In financial modeling, interest expense flows into the income statement, closing debt balance flows onto the balance sheet, principal repayments flow through the cash flow statement, completing the scheudle, inventory levels, the rate of inflation, etc. in order to run scenarios and make modifications over an extended period by different analysts. A good financial model should be able to be adjusted and manipulated in any field successfully. The key to flexibility is simplicity. A good financial model should be able to be adjusted and manipulated in any field successfully. The key to flexibility is simplicity. Lastly, a model must be easy-to-follow. In order to really get the most out of a model for both the analysts and the business owners, the entire model needs to be easy to read and followFinancial Model Formatting: Numbers​Financial model number formatting improves the clarity, efficiency, and consistency of a financial model is to utilize consistent decimal formatting.. In other words, the model needs to make the complex look simple. A good financial model should obvious be free of errors and should be very easy to read and understand. With that, these principles will cause the model to be easier to navigate, check, and rely on. Consistency in a model layout and organization is essential to be sure the reader understands its logic and that it is able to be successfully passed from author to author. This consistency can consist of appropriate columns, the number of sheets, page breaks, numbers and formulasFinancial Model Formatting: Advanced Numbers​Number formatting can become very robust. Custom number formatting allows the user to format numbers in different ways including adding symbols and words, as well as proper formatting. Efficiency in a model will allow both the person putting the model together and the analyst to make the best use of their time. This means really paying attention to the formulas and numbers that are going onto the sheet. It also includes how these numbers are organized and portrayed with the end goal in mind. As mentioned above, the model needs to make complex look simple. The model needs to be easy to follow for not only the one producing the model but also those dissecting it and using it to forecast future financial numbers.